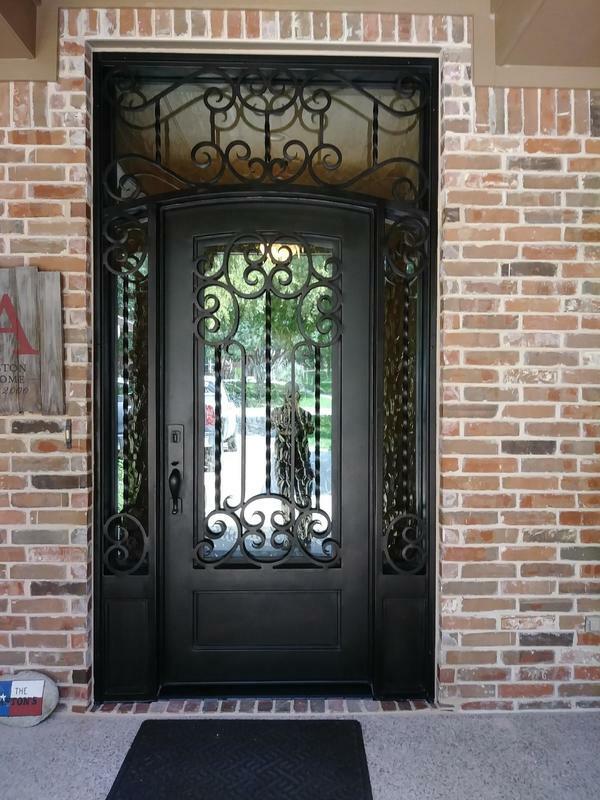 Wrought Iron Doors are all the rage here in Dallas/Fort Worth- and a great way to welcome your guests! At M2 Iron Doors in Dallas and Fort Worth, we are hard at work fabricating luxury wrought iron doors just for you. However, one of the most common questions we get is, “why iron doors and not wood?” Our answer is a bit of history lesson, but a fun and informative one! 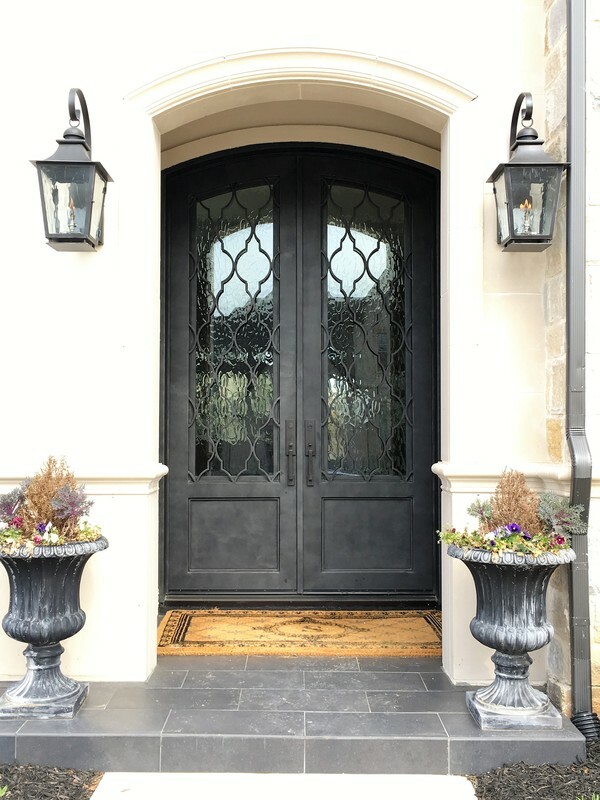 Iron front doors have been in the DFW marketplace since the 1980's when it became very apparent we needed a quality alternative to traditional wood entry doors. Our hot west sun and crazy weather extremes were wreaking havoc with wood entry doors. To add to that, there was the PIA of having to stain, paint and adjust locks twice a year which really wore out homeowners and home builders alike. That’s when a small Dallas based company began a substantial effort to distribute iron doors into the DFW area. At first Dallas/Fort Worth residents were uncertain about the look of these new wrought iron doors as they were heavy and seemed frivolous in cost. However, in the late 1990's some daring luxury home builders decided to use iron doors in their new homes and the people of Dallas/Fort Worth haven’t looked back since. In 2003 M2 decided to create a company with not only an amazing product, but also a customer service oriented company that would always be there when builders or home owners needed them. As the new custom home designs began to accent custom iron front doors the market was firmly established. Today it is commonplace to drive through numerous new communities in DFW and see M2 branded tape on some of the most respected home builder’s residences. Our shop is located in Northeast Tarrant County city of Keller- which is a skip and jump to Southlake, Colleyville, Westlake and other prominent cities. We also have product in Southeast Denton County, Trophy Club, Flower Mound, and Highland Village. As home builders and homeowners came on board, it was only natural we began receiving calls from home owners who wanted to replace existing damaged or decaying wood doors. Originally in the early 2000's it was more out of necessity, but over the last five years this has become more about updating and curb appeal. The wow factor that M2 doors produces is something you can’t get any other way! Who would have thought that from what was viewed as a heavy clunky Spanish influenced rot iron door would have evolved into the most sought after, desirable, and popular home trend?! 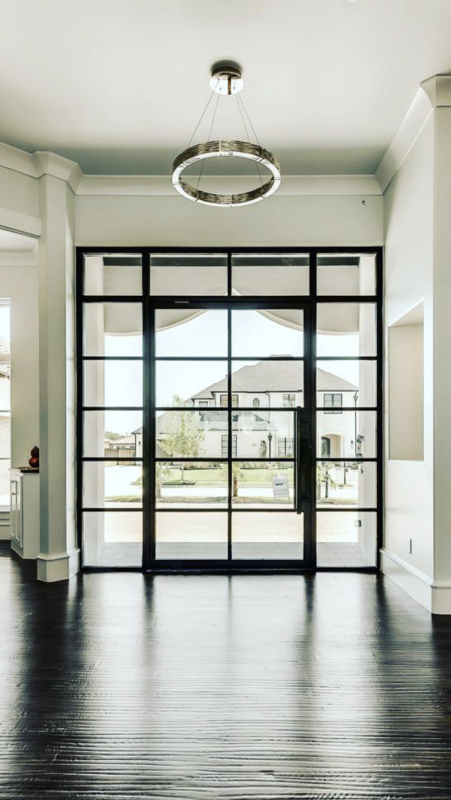 With the success and boom of metal doors in the Dallas/Fort Worth area, many new wrought iron front door companies have come onto the scene. However, many have closed and few have remained like M2 Iron Front Doors. We have stood the test of time by being a business that operates with skill, experience, integrity, and good old hard work. 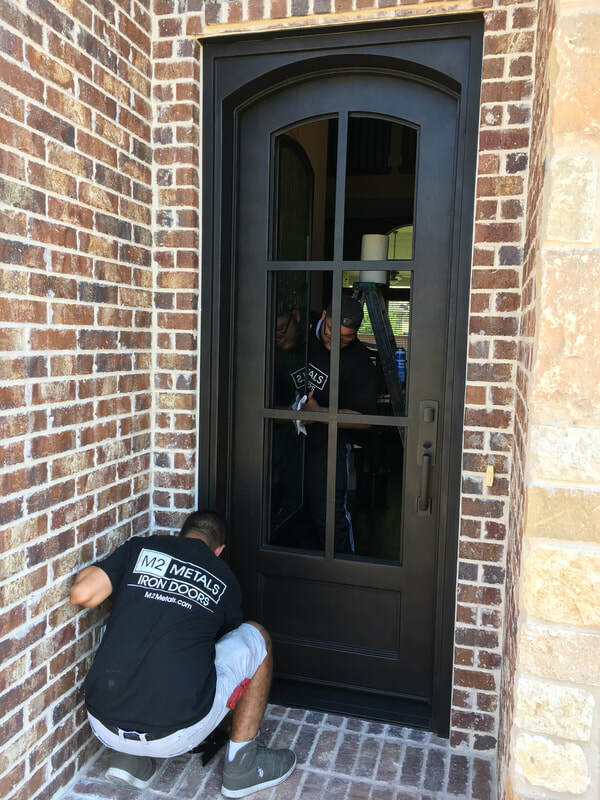 M2 wrought iron entry doors truly takes the time needed to fabricate a one of kind custom door for your one of kind home- and we believe that skill and time shows in our doors. M2 Wrought Iron Doors has an impeccable business record- one where customers not only come after a bad experience with other door companies, but where customers return after purchasing a new home. 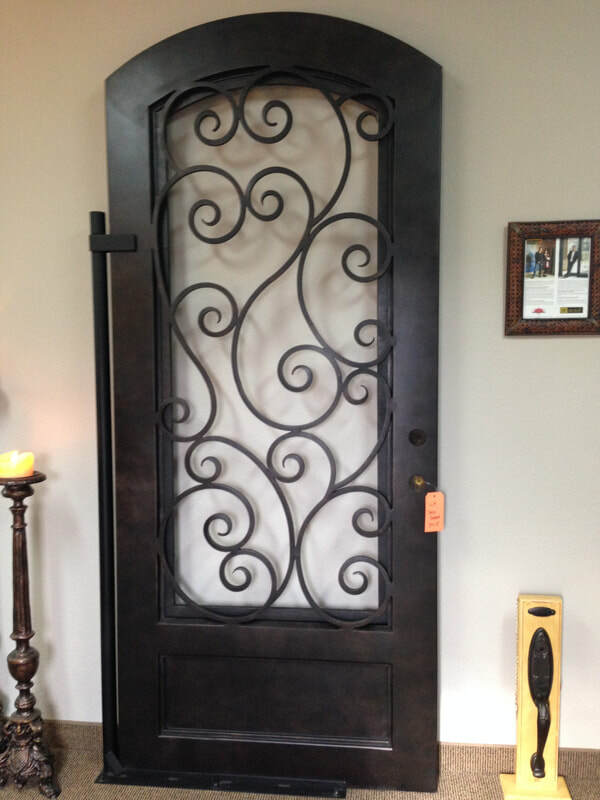 Our clients truly love their custom iron doors, which is why they keep coming back. Steel fabrication is truly an art form, and it’s one we take very seriously. You simply cannot fake it in this business, and our track record compared to our competitors proves that. We know you will not be disappointed, so call us at 817-498-8811 to schedule a viewing of our showroom. Not only is our track record here at M2 Iron Doors a respectable one, but how we work with you, the homeowner is as well. We are fully committed to providing the highest quality iron doors for your home, and we will take the time to understand your vision, needs, and budget. We will not only sketch what the front doors will look like, but we will provide pictures of decades of custom wrought iron entry doors making for inspiration. We will not stop sketching until we have perfected the image you want in the budget you have to work with. 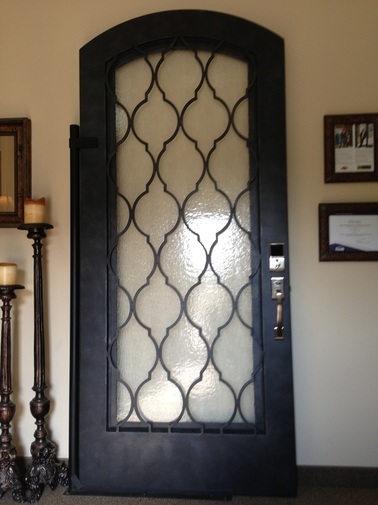 Are you Ready to Design your Custom Iron Doors Dallas and Fort Worth? For past and current projects visit us on our FB page at Facebook/M2 . We are constantly adding pictures of new doors, as well as before and after shots. We’ve been doing this a long time, yet we never get tired of how amazing those before and after shots look! Hop on over to our FB page and take a look!